Local Labour councillors Imogen Walker, Raj Patil and Pete Robbins were out and about on the South Lambeth Estate today along with community campaigner Alex Bigham. This is for the second week in a row, and last week they were also joined by Cllr Pete Bowyer. Although some of the gang problems in the area have now been resolved, residents are concerned about youths congregating in stairwells, smoking and taking/dealing drugs as well as generally intimidating people. These issues are being reported to the local police. Stockwell’s Labour team are delighted though that work is now complete in Wimborne house (pictured) and residents can now fully enjoy the benefits. 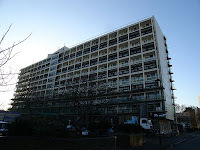 The £4.5 million refit, approved by Lambeth Labour councillors has paid for new kitchens, more efficient boilers, redecoration, new lifts and double glazing. 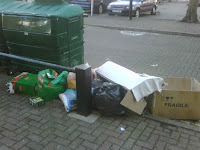 Last week, the team noticed some dumped rubbish (also pictured) outside Wimborne House and reported it to the council. This has now thankfully been sorted. We hope things are working well, but do get in touch with your Labour team if there are any issues we can help with at all. 0728jejebasket hommes nike air max 2017 Après que vous Air Jordan 9 Baskets faites, vous obtiendrez de profiter de l'acquisition distincte 1 obtenir une offre gratuite de personne qui divise par deux la basket sport homme nike presto valeur avec le produit. Ils fonctionnent une organisation mondiale et ont un basket nike air max 2017 enfant portefeuille de conception copieux et une liste de clients heureux. En dépit du asics cumulus soldes fait que vous pourrez parfois découvrir le Jupiter Jack chez les marchands, vous recevrez normalement chaussures asics tiger pas cher une offre beaucoup plus grande si vous le trouvez sur le net et l'achetez uniquement dans l'offre cortez nike femme rose officielle.